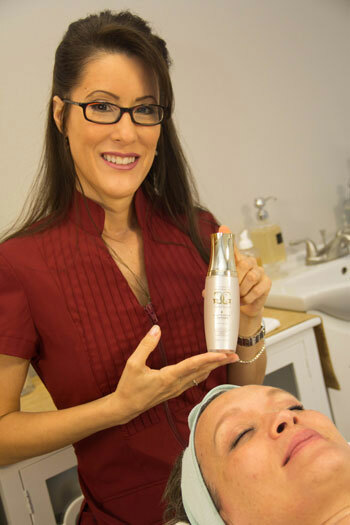 Experience the Classic Gavée Gold facial with founder and CEO of the collection while you can! Tiffany maintains her part time job at Renew while also developing her skincare lines. 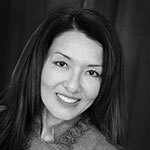 You may also book with Master Aesthetician Maggie Morales who has been working with the Gavée Gold Collection since the beginning. Tiffany’s Gavée Gold Facial is nothing short of incredible! The layers of luxurious products she used along with the relaxing application and warm towels made this facial my favorite––ever! Just the right treatment for those who aren’t sure where to start. We focus on deep cleansing, exfoliating, and hydrating the skin and indulge clients with a face, neck, and décolleté massage while they relax to smooth sounds. We also perform minor extractions. Our goal is a clean and clear complexion. Ideal for problematic or congested skin, this facial will focus on deep pore cleansing and extraction by penetrating the pores to kill bacteria, reduce inflammation, dissolve impactions, and purify the problem-prone face and back. We use a high-frequency current that produces enriched oxygen molecules which help to kill acne causing bacteria, eliminate toxins, and aid in tightening enlarged pores. We further purify the skin by finishing with an anti-bacterial blast of pure oxygen. This facial will leave your skin feeling hydrated, purified, clean, and clear. Though this begins with the basics, it is customized for each appropriate skin necessity. Experience the ultimate in rejuvenation by extreme exfoliation, hydration, and nourishment that helps improve skin clarity, elasticity, and texture. This is for the avid facial junkie who wants more than just the usual. Corrective serums, chemical and/or machine exfoliation, high-frequency therapy, and in-depth extractions are all a part of this treatment as clients relax to a soothing neck, shoulder, and décolleté massage. Customized to maintain a bright, evenly toned and, healthy complexion, this facial will leave your skin glowing for weeks. Skin needs oxygen to survive, reproduce, and regenerate healthy tissue. Oxygen is one of nature’s greatest disinfectants and can work wonders on persistent and stubborn acne. For this treatment, we start out by combining a customized chemical peel or enzyme peel and follow with an intensive hydrating leave-on chocolate mask which is infused into the skin with hot towels during a neck-and-shoulder massage. After that, we deliver age-defying serums to the deeper layers of the skin, at the same time cooling and calming the skin with a pressurized infusion of hyperbaric oxygen. The most common cause of aging is oxygen deficiency. At the age of thirty, the micro-capillaries start to degenerate, and our skin no longer receives the proper nourishment of vital oxygen it requires. Thus, the epidermis cellular renewal becomes heavily dependent on external oxygen as we grow older. The combination of oxygen, vitamins A, C, E, bio-peptides, pure hyaluronic acid, aloe vera gel, and green tea will instantly smooth out fine lines, replenish dehydrated skin, and clearly reduce blemishes. 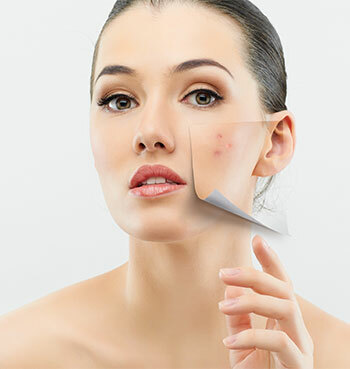 By delivering intensive oxygen molecules into the bacterial growth of inflamed acne conditions, it is possible to greatly reduce acne, making this great treatment for acne-prone skin. 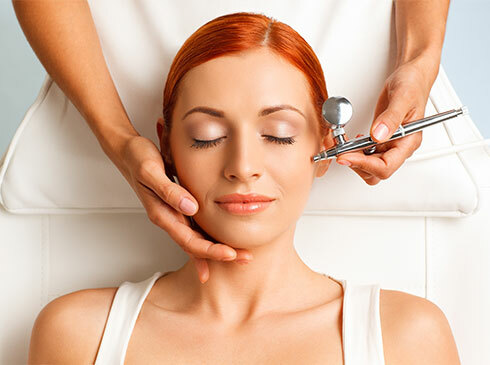 During chemical peels, derma-roller treatments, and laser procedures, oxygen is a vital part of the healing procedure. For this reason, we recommend a therapeutic oxygen mineral and peptide-based infusion that can be included in every one of our specialty facial treatments or done as a standalone treatment for a refreshing, healing procedure for any skin type. Ask about our package deals for a series of five or more treatments. A favorite among Hollywood’s A-List celebrities like Madonna, Eva Longoria, Justin Timberlake, and many others, this treatment will create a result you can instantly see and feel. The combination of oxygen, vitamins A, C, E, and green tea will instantly smooth out fine lines, and blemishes are clearly reduced. Because oxygen is a natural anti-bacterial agent, it effectively helps fight bad bacteria and therefore acts as a great treatment for surface acne. Your face will be smooth and clarified, nourished, and hydrated with a radiant glow. Microcurrent has been called the non-surgical or lunch-time facelift and is a proven safe, effective low-cost treatment that reaches well below the surface of the skin to the epidermis, dermis, and muscles. It delays premature aging by re-educating facial muscles and re-establishing muscle memory. Microcurrent technology is a low-level electrical current that mimics the body’s own biological current triggering chemical reactions at a cellular level, enhancing the production of natural collagen and elastin to provide circulatory benefits, and to assist in product penetration. 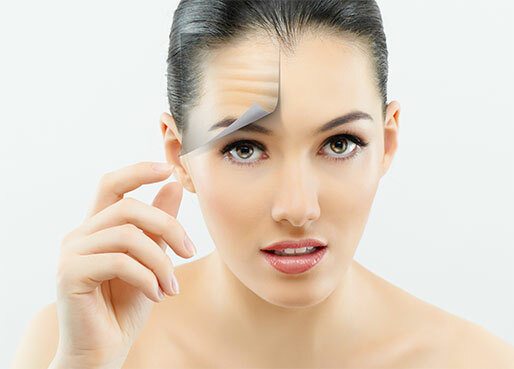 The result is a reduction of fine lines and wrinkles, restored youthful glow, immediate re-hydration of skin, visible firming, contouring, and lifting and tightening of sagging jowls. It is a pain-free, discomfort-free treatment that requires no downtime and has proven results. LED is a gentle, non-invasive, safe-for-all-skin types cosmetic and medical treatment. Developed by NASA in the eighties to improve wound healing and tissue growth in space, it uses non-wounding light at specific wavelengths to stimulate collagen growth, increase circulation, and regenerate damaged skin. This is a great treatment for acne prone skin because it helps to kill acne-causing bacteria, reduces redness from inflammation, helps to heal existing acne, and shrinks enlarged pores. This painless and relaxing treatment will hydrate, revitalize, and plump your skin leaving it feeling youthfully radiant and healthy. The ultrasonic technology is a gentle, non-invasive, and safe alternative to traditional microdermabrasion treatments. It works by sending waves creating ultrasonic vibrations that help to further loosen the dead skin and debris that is already in the process of naturally sloughing off. This creates a gentle peeling effect leaving the skin soft, smooth, and more luminous immediately afterwards. It aids in killing bacteria after unclogging pores and cleaning affected skin. This device offers microcurrent technology to drive vitamins and minerals, in turn stimulating blood flow and strengthening tissue metabolism and resulting in reduction of fine lines and wrinkles. This is a great anti-aging treatment. We finish this advanced facial with an invigorating blast of pure oxygen infused with vitamins and minerals that will deeply nourish and hydrate your clean skin. A medical grade procedure, performed with a diamond tip or crystals, that helps exfoliate the surface of the skin revealing newer, healthier-looking skin. We have partnered this treatment with an enzyme peel and mask, making it a facial rich in collagen-stimulating oligopeptides, vitamins, and minerals for a more result-oriented progressive procedure that will help improve your skin’s texture, color, and overall appearance. This treatment carefully exfoliates the top layer of skin with a specialized surgical blade. The process removes dead skin cells and peach fuzz and stimulates new skin production. We combine this treatment with a low-level glycolic, lactic, or mandelic acid peel which aids in rejuvenating the skin by making it feel more firm and supple.